Turmeric is gaining in popularity and for very good reason! The yellow pigment found in turmeric, which is also responsible for the majority ofits medicinal properties is called “curcumin.” Study abstracts from the National Library of Medicine’s bibliographic database known as MEDLINE show over 600 potential health benefits of turmeric, and/or its primary polyphenol known as curcumin. Curcumin is the active compound you want to absorb from eating turmeric. However, a big problem with turmeric is that curcumin isn’t easily absorbed. Various animal and clinical studies reveal that the concentrations of curcumin in blood plasma, urine, and peripheral tissues, if detectable at all, are extremely low regardless of dosage. And low absorption rate will not give you the health benefits of this pack a punch medicinal food. While no food or herb is right for everyone, and every- thing has the potential for unintended, adverse side effects, turmeric is truly unique in its exceptionally high margin of safety vis-à-vis the drugs it has been compared with, e.g. hydrocortisone, ibuprofen, chemotherapy agents. Furthermore, nothing within the modern-day pharmaceutical armamentarium comes even remotely close to turmeric's 6,000 year track record of safe use in Ayurvedic medicine. Little Snippets of interest worth knowing! 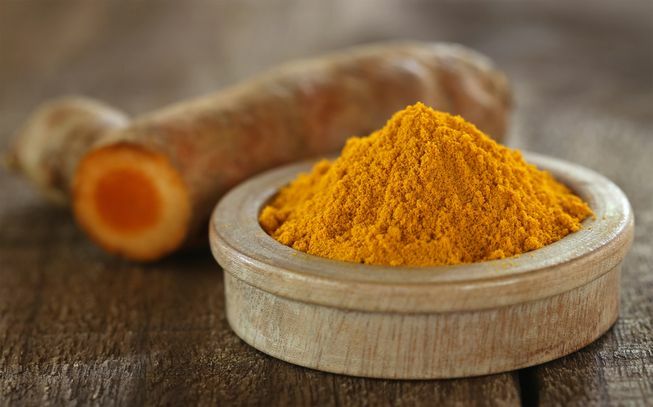 Despite its vast potential for alleviating human suffering, turmeric will likely never receive the FDA stamp of approval, due to its lack of exclusivity, patentability and therefore profitability. Truth be told, the FDA's "gold standard" for proving the value of a prospective medicinal substance betrays the age old aphorism: "he who owns the gold makes the rules," and unless an investor is willing to risk losing the 800+ million dollars that must be spent up front, the FDA-required multi-phased double-blind, randomized clinical trials will not occur. Black Pepper is a powerful medicine in its own right and a Potent Turmeric Adjuvant. “ If people are given a bunch of turmeric curcumin, within an hour there’s a little bump in the level in their blood stream. We don’t see a large increase because our liver is actively trying to get rid of it. But what if the process is suppressed by taking just a quarter teaspoon’s worth of black pepper? Then you see curcumin levels skyrocket. The same amount of curcumin consumed, but the bioavailability shoots up 2000%. Even just a little pinch of pepper—1/20th of a teaspoon— can significantly boost levels. And guess what a common ingredient in curry powder is besides turmeric? One Study entitled: Influence of piperine on the pharmacokinetics of curcumin in animals and human volunteers demonstrated that when piperine was co- administered with curcumin and given to human subjects the bioavailibity of curcumin increased 2000% . When eaten with healthy fats, such as coconut, ghee or olive oil, curcumin can be directly absorbed into the bloodstream through the lymphatic system thereby in part bypassing the liver. This is very important because less curcumin is exposed to metabolic enzymes and re- mains in a free form allowing it to stay in the body longer. “The potent ingredient in turmeric is curcumin, which, despite its power, is not easily absorbed by the body without assistance. This is where the sauté pan and a little warm oil or Gee come into play,” Dr. Saraswati Sukumar, a medical oncologist at Johns Hopkins. She not only commands research data on the root that grows abundantly in South Asia and is used extensively in the Indian subcontinent and Southeast Asia, she uses the spice liberally in her own kitchen, regularly flavouring sautés with turmeric. 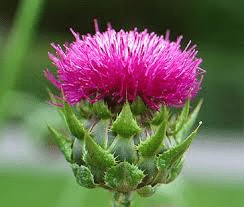 This wonderful healing plant is one that cancer patients should grow in their garden and make use of regularly. It's healing properties are well known in the herbal medicine field. The plant has become known in Australia in the last 15 year with the dissemination of information of the Essiac formula. Sheep's Sorrell is one of the major herbs used in the Essiac formula . You can find out how to make your own Essiac by reading Isabell Shipard's book "How can I use Herbs in my Daily Life” page 54 . 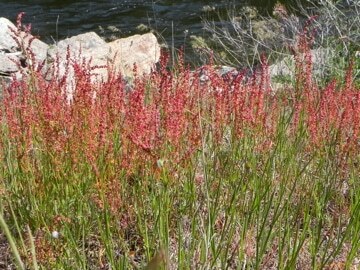 Sheep's Sorrel is one of the strongest antioxidant herbs we can use regularly, to benefit our health. Why are Antioxidants so important? They have the ability to zap out free radicals caused by food pollutants and stress , and provide a strong line of defence for the immune system. With regular use of Sheep Sorrell and other antioxidant rich herbs, we can boost the power of protection. Sheep's Sorrell assists in throwing off any viral infection. Leaves are rich in Vit C and has been used as an antiscorbutic for Centuries. As a tea it is used by many as a cancer treatment. You can eat the leaves in a tossed salad, tucked in sandwich or as a garnish on a meal, the mild, sour flavour adds a pleasant lemon like tang when served with other greens and vegetables. Yes..... your garden holds many secrets for the healing journey. This modest green is extraordinary rich in precious nutrients. 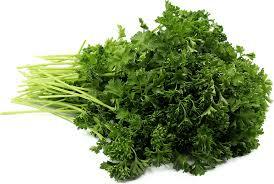 Parsley is an excellent antiseptic, purifying the blood and intestines. Some therapists claim it helps prevent cancer. Balanced by its calcium content, parsley is highly recommended for correcting bone disorders like rickets, and for combating tuberculosis. Its high iron content makes it deal for fighting anaemia, while its pro-Vitamin A acts as a remedy for ocular disorders due to a carotene deficiency. Finally, it retards aging. A very old Professor (Still in excellent condition) at the University of Paris Faculty of Medicine proclaimed, "I owe my youth to the fact that I ate acres of parsley and a few tons of lemons”. HOW do cancer cells get into the brain? A 'ticket' made of three genes seems to grant them access in mice. The discovery could one day lead to drugs that cancel out a similar ticket in people. 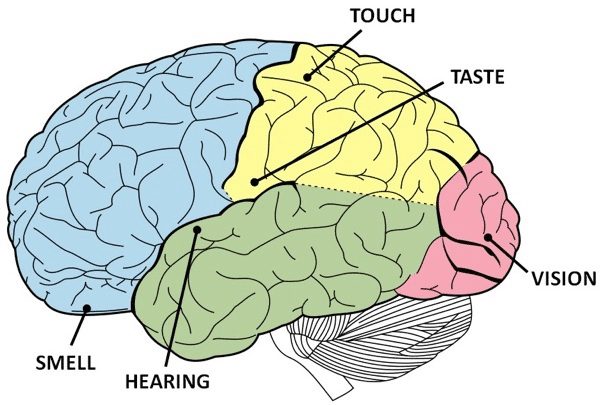 Around 10 percent of people whose cancer has metastasised, or spread beyond the original site, develop brain tumours. But it’s a mystery how cancer cells get past the "blood brain barrier”, which prevents the passage of most cells. “There is no doubt in my mind that raw juice can save your life. 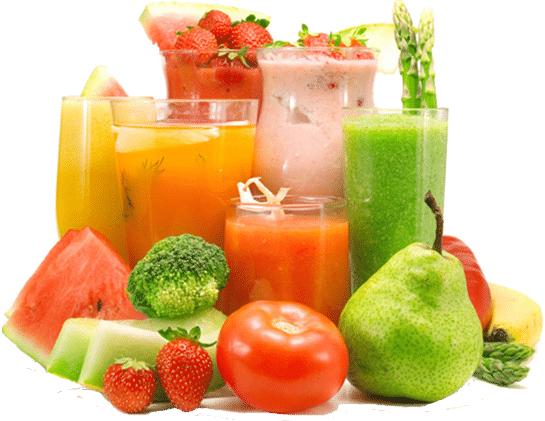 Juicing is the easiest and most efficient method for extracting the high levels of nutrients stored within the individual cells of fruits and vegetables. Fresh juices take a fraction of the energy needed to digest solid foods. Research tells us that fresh juices are extremely high in enzymes. When fruits or vegetables are juiced, their enzymes are released and immediately go to work when they are consumed. This aids the body in its constant work of dissolving and eliminating wastes as well as speeding delivery of the vital nutrients contained in the juice. When the body receives a plentiful supply of enzymes, its internal enzyme supplies are preserved for the important work of maintaining metabolic harmony. As a result many body systems are strengthened. Used as nutritional support during periods of stress and illness, juice therapy can also be used as part of a comprehensive health maintenance plan. Juices in their raw and unprocessed form are a natural concentrated source of energy. As cooked foods are lower in nutrients, individual cells don’t receive enough of the nutrients they need. Nutrients like vitamins, minerals and amino acids are depleted, destroyed and altered by cooking or frictional heat through high speed juicing. The natural ageing process is accelerated by cooked food; people who switch to raw food often become biologically and visibly younger. By separating the mineral elements and the distilled water in the food from the fibre in the raw fruit and vegetable, the liquid food is digestible in a matter of minutes. The human body’s digestive process to separate minerals from the fibre takes hours and much energy by the digestive organs, one would need to do copious amounts of chewing to give quality live juice liquid. It is important to use a good quality juice extractor, one that does not use high speed or sharp chopping blades, juicing by the crushing and squeezing method, opens the cell membrane and releases more nutrients. 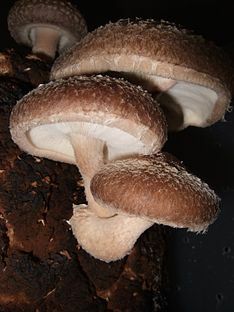 Shiitake stimulates the anti-tumour activity of macrophages, white cells which are present in tissues which engulf and digest debris and pathogens, and have the single minded pursuit of microbes and tumour cells. Complimentary medicine is frequently used by cancer patients and therefore it is important that patients and carers are aware of the risks and benefits involved.